God has accepted the sacrifice for atonement of His peoples' sin by fire, and the false prophets who had led God's people astray have been completely destroyed. 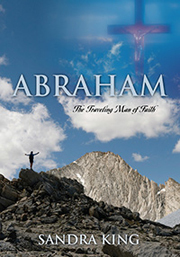 Elijah had fought spiritual warfare against the false god and false religion. The Apostle Paul also fought against false religion. (Galatians 1:6-9) Some false teachers had come to the Galatians trying to persuade the believers in Christ that salvation involved not just believing in Christ, but also being incorporated in the Jewish faith by being circumcised (5:2), observing the Law (3:5) and keeping Jewish holy days (4:10). The work of salvation on the cross of Jesus Christ is a finished work. Nothing has to be added to it. Jesus obeyed all that the Law required fully and completely once-for-all. Atonement has been made. The people have returned to God. The false prophets have been destroyed. Now the rain of God's blessings will fall. God had said that He would both stop the rain and bring the rain at Elijah's word. (1 Kings 17:1) Elijah must get before God in prayer to ask Him to send the rain. Elijah told Ahab to “go, eat and drink, for there is the sound of a heavy rain.” 1 Kings 18:41 A meal had been prepared for the king! Ahab was to leave the place of death where the false prophets were killed and go up on the mountain to eat and drink in celebration of God's victory and goodness. Elijah heard the sound of the rain coming in his spirit before he saw the rain. He told Ahab to celebrate before he actually saw the sign of rain coming. Elijah had no doubt that God would hear his prayer and answer it. The answer to Elijah's prayer came slowly in a small way.....like a man's hand. God does not despise small beginnings. There is a spiritual message in this. The sea represents the sea of humanity. The cloud represents God's glory and power. Man's hand represents believers in Jesus who have the Holy Spirit within and will pour out the Spirit and Truth to others. Elijah and his servant were in a high place with God. It is through Jesus who came to earth as a Man and is seated at the right hand of God in the highest place that the rain of the Holy Spirit will be poured out upon all believers. Jesus also began small. He poured out the Holy Spirit upon the 120 faithful believers in the Upper Room in Acts who were in one accord (agreement). Then came the abundance as this chosen remnant shared and imparted the knowledge of the Truth and the power of the Holy Spirit to others. The number 120 represents death of the flesh and new life in the Spirit. In the days of Noah, after 120 years, God sent the flood that destroyed all flesh because of wickedness. In the New Testament, there were 120 obedient, faithful disciples in the Upper Room when new, spiritual life in the Holy Spirit came. The New Testament is the reverse of the Old. The Law brought the penalty of death because no one could live up to its standards, but the Spirit brings eternal, spiritual life because Jesus met the standards for us. It is the Spirit that gives life, the flesh profits nothing. The Holy Spirit in mankind will become a torrent in faith-filled, obedient, persistent, prayerful believers and will reach the whole world. Elijah tells Ahab to hitch up his chariot and quickly go down to Jezreel before the outpouring of rain comes and makes the soil mud which would prevent Ahab from reaching his destination. We must watch for mud in our lives that will keep us from reaching our destiny in God. Sin bogs us down! Ahab's horses and chariots would get stuck in the mud, just as believers can get stuck in the mud of sin that will keep us from reaching our purpose and destiny in God. The power of God (Holy Spirit) supernaturally let Elijah overtake the horses and chariots of Ahab. In other words, Elijah was the forerunner to the king as John the Baptist who came in the Spirit and power of Elijah was the forerunner to King Jesus. Elijah tucked his cloak (mantle) into his belt and ran ahead with his servant. Again, two in agreement running the same race. Elijah's mantle is his prophetic voice and his belt represents the belt of truth that holds his garment in place away from the dust of the ground (earthly). Elijah reached the king's palace in Jezreel before the king! Ahab had a great man of God before him but never invited Elijah into his chariot. Similarly, the nation of Israel had a great Man of God – God Himself – in front of them, but the majority never invited Jesus into their hearts. Instead, Ahab tells his wicked wife Jezebel what had happened to the false prophets in the Valley of Kishon. Jezebel swears an oath to her false gods that what happened to her false prophets will happen to Elijah. (1 Kings 19:1-2) Satan and his wicked bride always want to silence the Word of God in His prophets. Jezebel's false gods are powerless over God's prophet. God will take care of Jezebel. Her oath and words will be turned back onto her own head. She will reap what she sows. Her end is death! Jezebel means “Baal exalts” or “Baal is husband to” or “unchaste.” She represents the harlot (adulterous) bride. Ahab catered to Jezebel so much that he built her a private temple where she could worship Baal. She wanted all Israel to worship Baal also. This is why God does not want believers unequally yoked (married) with unbelievers. An unbeliever can lead us astray away from God and His ways. We will be tempted to compromise like the Israelites who worshiped both Baal and God.